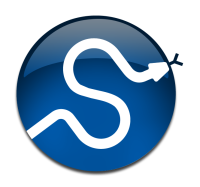 SciPy has a tremendous number of basic statistics routines with more easily added by the end user (if you create one please contribute it). All of the statistics functions are located in the sub-package scipy.stats and a fairly complete listing of these functions can be had using info(stats). There are two general distribution classes that have been implemented for encapsulating continuous random variables and discrete random variables . Over 80 continuous random variables and 10 discrete random variables have been implemented using these classes. The list of the random variables available is in the docstring for the stats sub- package. for df > 0, nc > 0. All continuous distributions take loc and scale as keyword parameters to adjust the location and scale of the distribution, e.g. for the standard normal distribution location is the mean and scale is the standard deviation. The standardized distribution for a random variable x is obtained through (x - loc) / scale. Discrete distribution have most of the same basic methods, however pdf is replaced the probability mass function pmf, no estimation methods, such as fit, are available, and scale is not a valid keyword parameter. The location parameter, keyword loc can be used to shift the distribution. The basic methods, pdf, cdf, sf, ppf, and isf are vectorized with np.vectorize, and the usual numpy broadcasting is applied. For example, we can calculate the critical values for the upper tail of the t distribution for different probabilites and degrees of freedom. The performance of the individual methods, in terms of speed, varies widely by distribution and method. The results of a method are obtained in one of two ways, either by explicit calculation or by a generic algorithm that is independent of the specific distribution. Explicit calculation, requires that the method is directly specified for the given distribution, either through analytic formulas or through special functions in scipy.special or numpy.random for rvs. These are usually relatively fast calculations. The generic methods are used if the distribution does not specify any explicit calculation. To define a distribution, only one of pdf or cdf is necessary, all other methods can be derived using numeric integration and root finding. These indirect methods can be very slow. As an example, rgh = stats.gausshyper.rvs(0.5, 2, 2, 2, size=100) creates random variables in a very indirect way and takes about 19 seconds for 100 random variables on my computer, while one million random variables from the standard normal or from the t distribution take just above one second. The next example shows how to build our own discrete distribution, and more examples for the usage of the distributions are shown below together with the statistical tests. In the following we use stats.rv_discrete to generate a discrete distribution that has the probabilites of the truncated normal for the intervalls centered around the integers. There are some requirements for this distribution to work. The keyword name is required. The support points of the distribution xk have to be integers. Also, I needed to limit the number of decimals. If the last two requirements are not satisfied an exception may be raised or the resulting numbers may be incorrect. After defining the distribution, we obtain access to all methods of discrete distributions. Here, we set the required shape parameter of the t distribution, which in statistics corresponds to the degrees of freedom, to 10. Using size=100 means that our sample consists of 1000 independently drawn (pseudo) random numbers. Since we did not specify the keyword arguments loc and scale, those are set to their default values zero and one.